Taking the dive into addiction treatment can be frightening and overwhelming. While pharmaceuticals and traditional rehabilitation are often recommended, and are widely known, they do not work for everyone. Often, alternatives to these traditional rehabilitation options are not discussed. However, there is a lesser-known, holistic alternative to these conventional methods that can offer some great benefits for treating addiction—especially opiate and heroin addiction. This treatment is done using a plant medicine called Ibogaine. Ibogaine is not well known. It is a psychoactive alkaloid extracted from the Tabernanthe Iboga root native to Africa. The Iboga plant owes its discovery to the Bwiti religion in West Africa. The raw Iboga root bark was originally brewed as a tea and used for various healings, rite of passage ceremonies, and Shamanic rituals. However, it wasn’t until the 1960s that Iboga, in its extracted form of Ibogaine, was found to be an effective treatment for heroin and opiate addiction. Howard Lotsof, then a young man exploring various psychedelics, wanted to find something new. At the time, Lotsof was a major heroin addict. He was given Ibogaine by a scientist he knew and, after an intense psychedelic experience, Lotsof realized he no longer had any withdrawal symptoms from his heroin addiction. He tested these results by giving Ibogaine to a few of his friends who were also addicted to heroin. The results were the same. Ibogaine seemed to, at least on the surface, remove the heroin addiction almost completely from the brain. Lotsof wanted to bring Ibogaine’s healing properties to the world. As a result, he opened dozens of Ibogaine clinics to increase popularity of the treatment—all of these in countries outside of the United States due to strict US laws. This was the beginning of Ibogaine as a treatment for heroin and opiate addiction. But how exactly does Ibogaine work? Ibogaine and the Addicted Brain? Ibogaine works by bonding to opiate receptors in the brain and helping to reset the pathways in the brain responsible for feeling pleasure. These pathways, also called the reward system, change as massive quantities of chemicals flood the brain from drug use. Ibogaine rejuvenates neurons back to their pre-addicted, allowing the brain’s natural systems to function properly. For the addicted brain, the result is a feeling of renewal and an elimination of withdrawal symptoms. These results often happen during the first few hours of the Ibogaine experience. However, due to the intense nature of many Ibogaine users’ experiences, these results can often take a few days to set in as the brain recovers from the Ibogaine treatment itself. And Ibogaine is not only effective for opiate and heroin addicts. The healing abilities of Ibogaine, though not as predictable, have shown positive effects on those suffering from alcoholism, methamphetamine addiction, crack and cocaine addictions, and even depression, PTSD, and anxiety. But what are some of the side effects of Ibogaine treatment for addiction? Despite its extensive list of benefits, Ibogaine is not risk free. 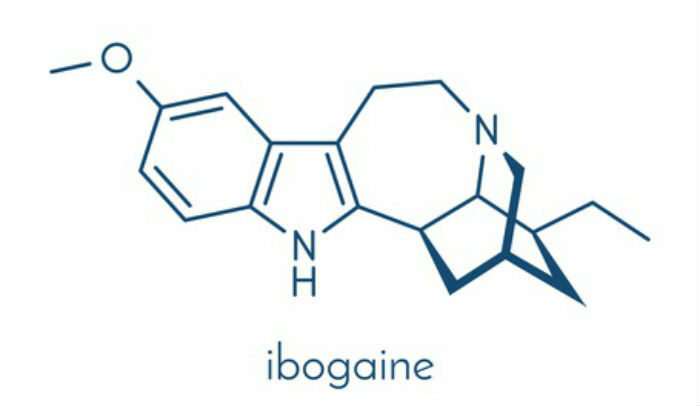 Between 1990 and 2008, the use of Ibogaine resulted in nineteen deaths. In almost all cases the underlying causation was due to mixing drugs or preexisting health conditions in the users. However, since then Ibogaine treatment centers around the world have implemented much more thorough testing and prescreening methods to reduce the potential dangerous side effects of Ibogaine. Ibogaine is not for everyone. Those with medical conditions—including severe heart conditions, liver problems, and other major health issues—in most cases will not qualify for Ibogaine treatment. And, like other clinical drugs, ibogaine should not be used without the supervision of a medical practitioner in a designated clinical setting. This ensures that the benefits of Ibogaine can be realized without the high risk of negative side effects. Ibogaine may not be the perfect treatment. However, we are currently dealing with a major opioid crisis in the USA. Traditional forms of drug rehabilitation have been shown to only help a certain percentage of individuals, and that percentage is unfortunately low. For those that it does help, it can be a great help to their overall recovery. However, there are still a vast majority of addicts who end up either going to traditional rehab facilities over and over again without any lasting results, or worse just giving up hope of ever finding success. No one treatment is right for everyone. Ibogaine treatment is just one of the many different options that are not offered in the United States. Until more scientific testing is done, it will be hard to determine the actual effectiveness of Ibogaine for treating addiction long-term. The reality is that addicts need help. Drug overdose statistics are on the rise, and the dangers of heroin and opiate use are extremely high. Alternative and holistic approaches to treating addiction will offer more addicts the ability to be free from their addictions and find the life success they are searching for. 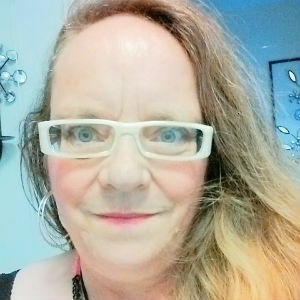 Author Bio: Aeden Smith-Ahearn has been speaking and writing about Ibogaine treatment for years. Currently, as the Treatment Coordinator for Experience Ibogaine, he has worked hard to lower the cost of Ibogaine treatment for those who need it. He himself knows what it’s like to be a massive heroin addict, and, after finding success through Ibogaine, has dedicated his life to helping others find freedom from their addictions in whatever way they can.